So many meaningful moments and bittersweet memories over the past few days. On Saturday, I ran the Undy Run in memory of Joe and Dave Rosser to support the Colon Cancer Alliance. 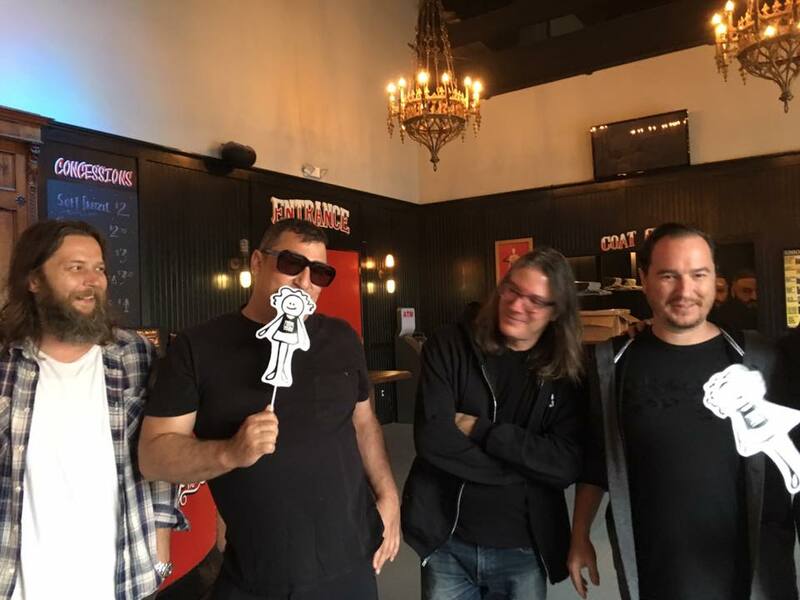 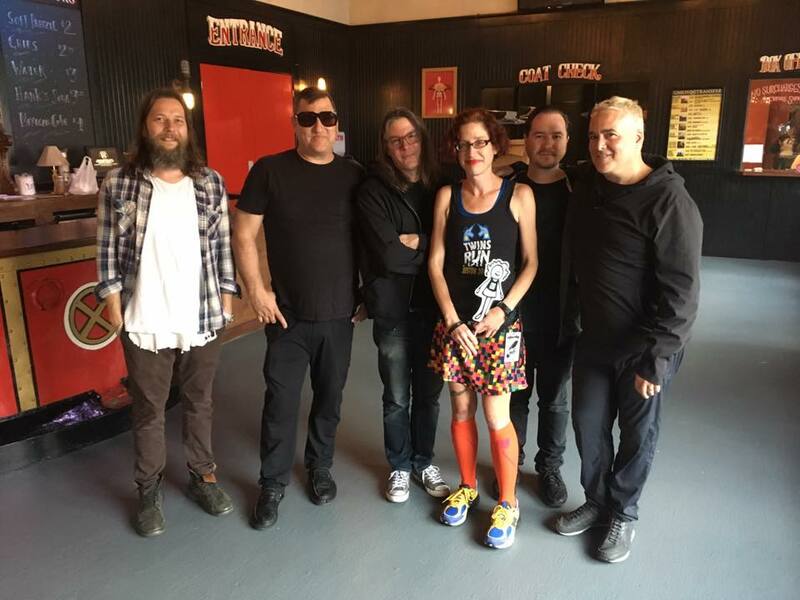 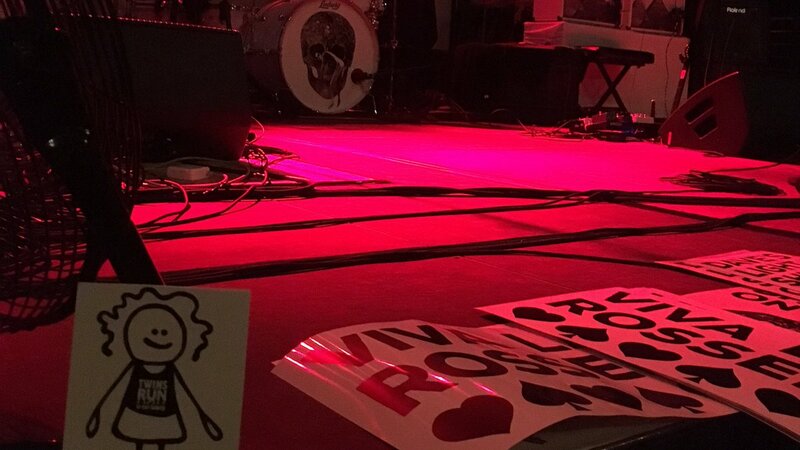 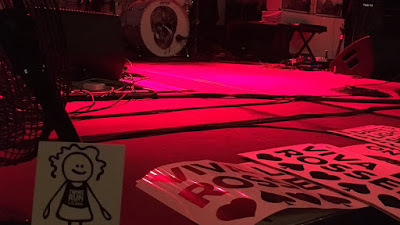 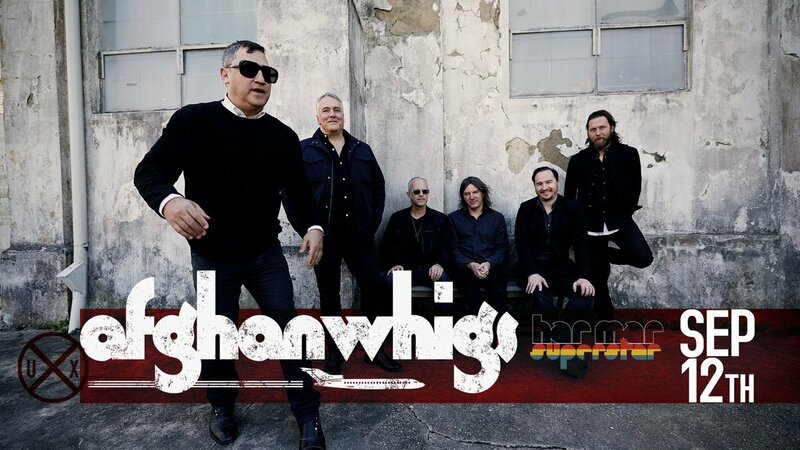 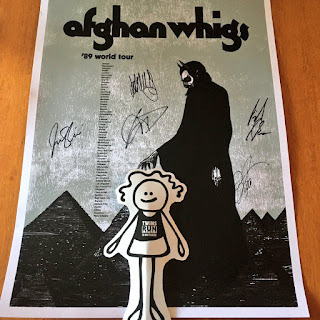 On Tuesday, thanks to my dear friend Anne, we spent the evening with The Afghan Whigs at Union Transfer. 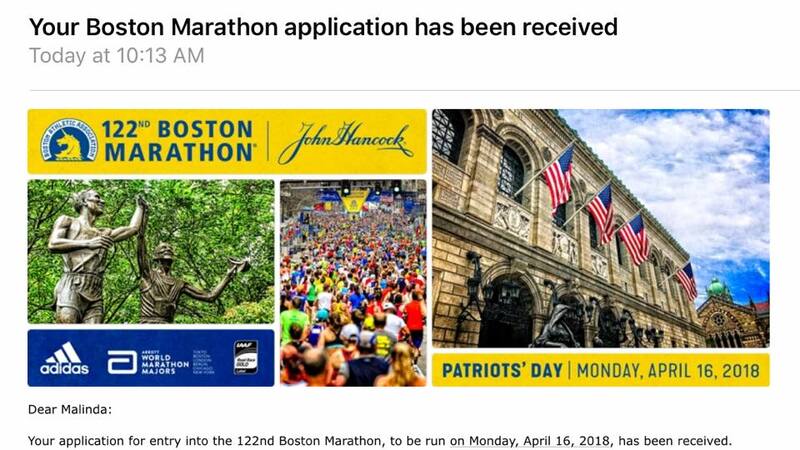 On Friday, I registered for the 2018 Boston Marathon as a time qualifier. 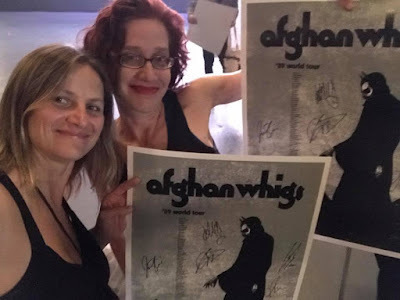 Just over 5 years ago I connected with Anne through our love of The Afghan Whigs. 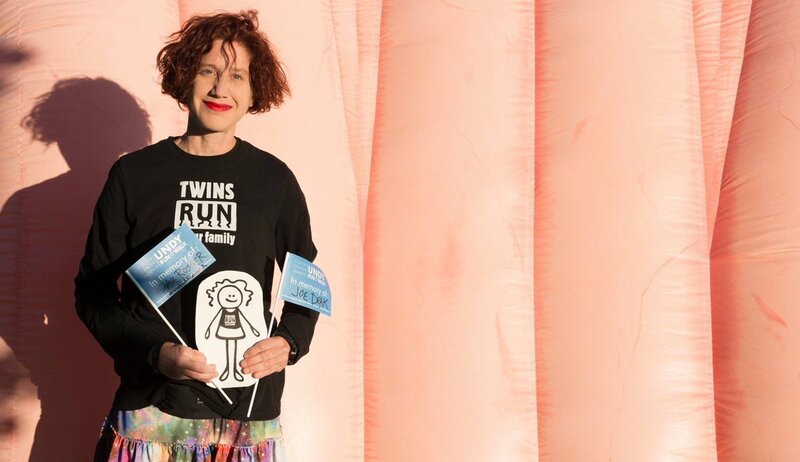 We soon discovered that we were also mother runners. I was so inspired when Anne reached her goal to run the 2016 Boston Marathon. 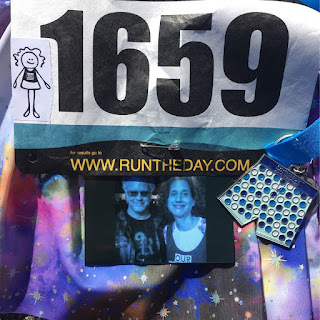 Her love and support kept me going as I kept trying to reach my BQ goal. 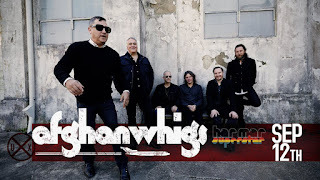 I've been running to the music of The Afghan Whigs since the days of the cassette Walkman and finished my 1st marathon in 1995. 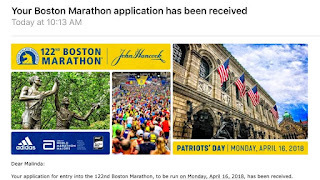 Twenty-one years later I qualified to run the 2018 Boston Marathon (my 12th attempt since 2013) while raising awareness & funds for Alex's Lemonade Stand Foundation for Childhood Cancer in memory of Michael & GG. 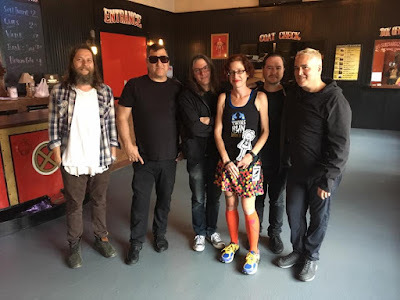 Thanks again to Greg, John, Patrick, Jon, Rick & Dave for the music that keeps me running. 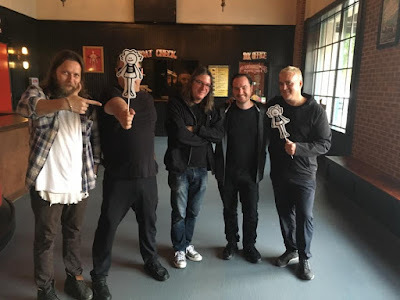 Greg is holding me and John is holding Leah. Greg's reaction when I showed him the flat twins was awesome. I would've left happy with these priceless photos of the flat twins with the band but they insisted I get in on a group photo. Pre-concert selfie with Anne and our signed VIP posters. 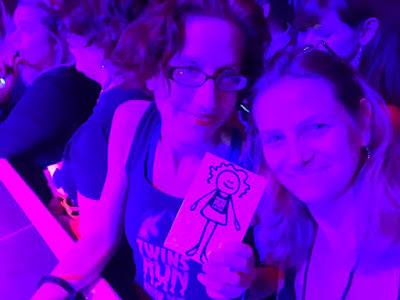 Mother runners who rock the front row.